McGill’s radio station, CKUT, and the McGill-operated Quebec Public Interest Research Group might be fighting for their lives after a student-wide referendum keeping them afloat has been rendered inadequate by the university’s administration. According to Deputy Provost of Student Life and Learning, Morton Mendelson, the question asked to undergrads was too confusing. “A few years down the road there is a possibility that CKUT will no longer be able to exist as it does now,” said Caitlin Manicom, funding and outreach coordinator at CKUT. The agreement is that every five years, both CKUT and QPIRG have to hold an existence referendum. This year, a question asking whether students should vote in person or use an online system on their student portal to opt out of funding the groups was included with the question about giving the groups the finances to stay alive. When the opt-out system was first introduced in 2007, CKUT lost $8,000 as students could easily click ‘no’ to the $4.00 funding for CKUT while paying for their tuition, instead of voting it down in person. Both the McGill Tribune and the McGill Daily raised concerns before the referendum about the students’ inability to choose between renewal and the online opt-out policy on the referendum question. The same question was asked about QPIRG. Both QPIRG and CKUT were voted in, by 66 per cent and 72 per cent of voters, respectively. declared invalid,” after the results were rejected by the university. According to Knight, it’s recommended that all student groups go to the administration with the referendum question before asking it to the public, something Knight said she was unclear on, so CKUT chose not to run it by administration first. But Mendelson raised concerns about the clarity of the question prior to the referendum. While Knight acknowledged that both student groups are talking with the Deputy Provost, she recognized that there were no official procedures for such a situation. 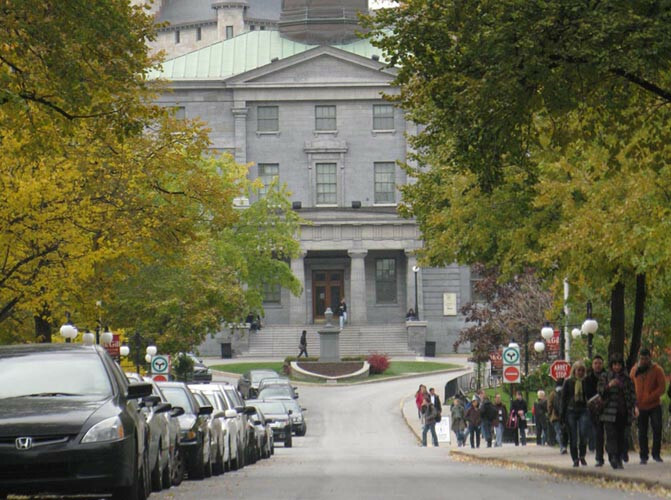 If the McGill administration maintains its decision, a second referendum would have to be held during the annual elections in March. “It would be part of our winter referendum. Obviously it requires [student groups] to campaign all over again, which takes their time and energy,” said Knight.